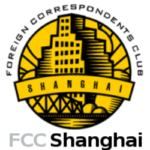 Please RSVP to Frank Tsai of Hopkins China Forum at editor@shanghai-review.org. With Chinese-led initiatives such as One Belt One Road (OBOR) and the Asian Infrastructure Investment Bank (AIIB) combined with uncertainty due to US shifts in policy and apparent commitments over the past decade, the stakes are high for companies looking to profit from the world’s newest superpower. Post-financial crisis, China has emerged as the largest or second largest trading partner for most countries. It has become the second largest market for Fortune 500 companies like Starbucks, Apple, and Nike and drives growth for Hollywood and commodity products. Yet the profits come at a price for countries and companies alike—they must adhere to the political goals of Beijing or else face economic punishment or outright banishment. Using primary research from interviews with hundreds of business executives and government officials, The War for China’s Wallet will help companies understand how to profit from China’s outbound economic plans as well as a shifting consumer base that is increasingly nationalistic. The countries and companies that get it right will benefit from China’s wallet but those that do not will lose out on the world’s largest growth engine for the next two decades. In tonight’s talk, Shuan Rein, author of The War for China’s Wallet, will discuss the insights he includes in his book. Shaun Rein is Managing Director of the China Market Research Group (CMR), a leading strategic market intelligence firm, and a recognized thought leader on strategy consulting in China. He is author of The War for China’s Wallet: Profiting from the New World Order (2017), The End of Copycat China: The Rise of Creativity, Innovation, and Individualism in Asia (2014), and The End of Cheap China: Economic and Cultural Trends that Will Disrupt the World (2012). He is a columnist for Forbes on Leadership, Marketing, and China, and for BusinessWeek’s Asia Insight section. He is often featured in the Wall Street Journal, the Harvard Business Review, The Economist, The Financial Times, Newsweek International, Bloomberg, Time, and the New York Times. He is regularly interviewed by American Public Radio’s Marketplace and NPR. He frequently appears on CNBC’s Squawk Box, Bloomberg TV, CBS News, and CNN International TV. Before founding CMR, he was the Chief of Research for venture capital firm Inter-Asia Venture Management. He also was the Managing Director, Country Head China for the e-learning software company WebCT where he also ran the company’s Taiwan and South Korean operations. Mr. Rein earned his Master’s degree from Harvard University focused on China’s economy and received a BA with Honors from McGill University. 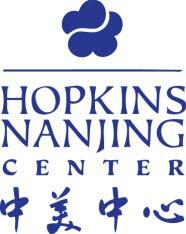 Hopkins China Forum events are organized under the auspices of The Johns Hopkins University and its alumni associations worldwide. For more information, please contact Frank Tsai of the Hopkins Club of Shanghai at editor@shanghai-review.org.